Let us create your perfect workshop concept and bring it to life! Contact us! We offer solutions for inground lifts, surface-mounted lifts and test equipment. Which product will be suitable for which area of my workshop? Which product mix will match my special demands perfectly? Our expertise thanks to a wealth of experience will help you decide – let AUTOPSTENHOJ give you the answers! Benefit from the decades of experience we have internally and globally through our competent global partner network. We serve our customers throughout the process by providing technical layouts, planning, installation and servicing. We are with the customer every step of the way! It is important to have a structured concept and approach to ensure the end result meets your expectations. All areas of a modern day workshop have to be planned precisely to ensure that all processes can run smoothly and deliver maximum return on investment! Here at AUTOPSTENHOJ we offer our support every step of the way. We at AUTOPSTENHOJ stand for quality, spirit of innovation and satisfied customers. Our close cooperation with vehicle manufacturers is of great importance! We can offer a suitable product for any application! 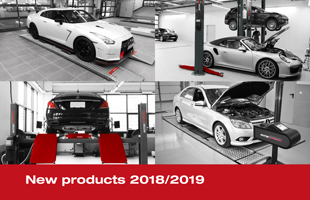 Last, but not least, our global partner network has their own factory-trained service departments, making AUTOPSTENHOJ the ideal partner for you!